Okay, you've probably seen this before, because the whole online world (and beyond) was buzzing about this awesome lip balm. Who wouldn't?! Boost Juice + Bloom Cosmetics is an awesome collaboration. Who would've thought to combine a smoothie brand with a cosmetic brand? 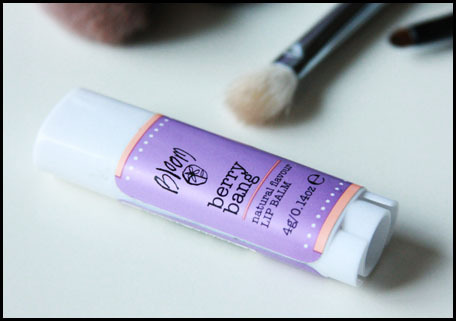 I was sent this lip balm a couple of weeks ago to review, and I am loving it! 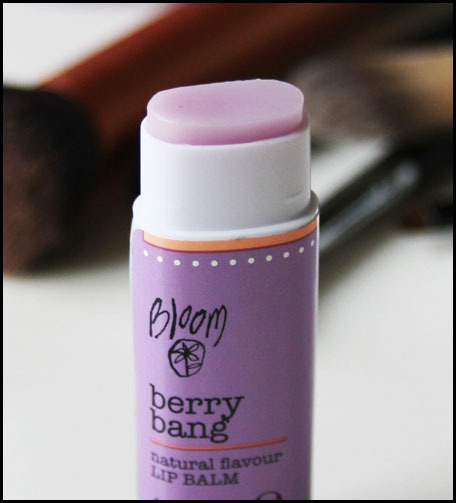 I got the flavour Berry Bang (1 of 6 different flavours) - and the smell is true to its name. I even went so far as to get a Boost Juice Berry Bang to compare smells and flavours. Guess what? They are actually almost exactly similar. As for the product and packaging? They didn't miss a single beat. The winding up and down mechanism works beautifully - no hitches. The balm is soft and applies easily and doesn't harden in the cold the way a lot of balms do. My lips are actually pretty nice and un-chapped now - which is really rare for me because I never do anything to take care of them! So all in all, I am loving these balms. Gorgeous smell, great performance. One thing I have a little problem with is the fact that my semi-OCD-ness can't seem to figure out a way to use the lip balm so that the oval lipbalm is always flat and level. But then, that's just me. If you're interested, these lip balms retail for AUD 6.95 at selected Boost counters and at Bloom Cosmetic counters at David Jones.